Exotic Pets With Easy Care Requirements? Which exotic animals make the best pets? Do low-maintenance, unique animals exist? These are all common questions that don't really have objectively 'true' answers. All pets require the owner to provide some degree of care, and there are no pets that are for everyone. Effectively addressing this question strictly depends on what the owner is willing to provide for the animal, what the owner expects of the animal, and what they are willing to spend. The more uncommon your pet is, the more you will likely spend on vet care from a veterinarian that specializes in exotics and 'wildlife'. First off, what IS an exotic pet? Most animals that are not domesticated or are uncommon are considered as exotic. Some animals that are technically exotic (not domesticated or little change from their wild ancestors) are not viewed as such, like many birds and fish. Ferrets, pygmy hedgehogs, and chinchillas are sometimes considered exotic pets but they are domesticated, which differentiates them physically and mentally from their wild ancestors. Many other qualities that make it simpler to provide them sufficient well-being. 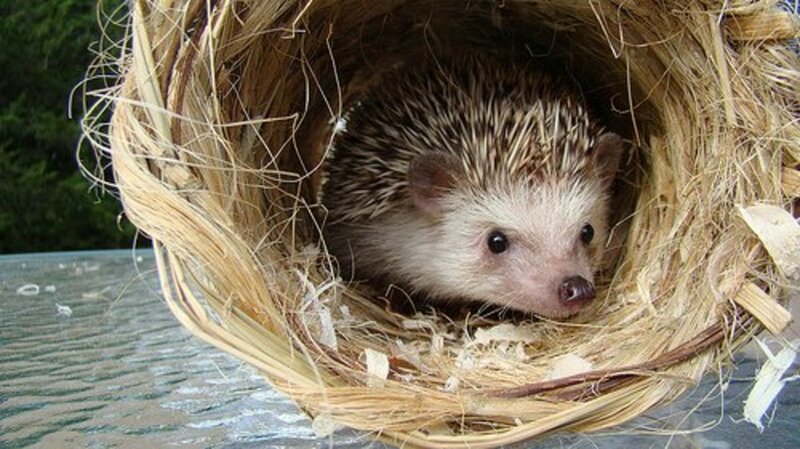 Hedgehogs are not social, so only one should be housed per enclosure. This makes them pets that are not subject to separation anxiety and they are fitting for people who travel. They are suitable for those who do not want a long-lived pet, since their lifespan is an accommodating 5-7 years. Hedgehogs have a simplistic diet that can be composed of a high-grade prepared food and/or fruits and insects. They are common enough that many pet stores sell food for them. Hedgehogs can be somewhat temperamental but they tame down with the right handling and habituation. The proper quarters for a 'hedgie' need only consist of a properly-sized terrestrial enclosure. Hedgehogs can even be the pets of children because of their ease of care. Just be sure to be prepared for the cleaning involved with their frequent defecation. Degus. These look like large gerbils but are actually more closely related to chinchillas and guinea pigs. 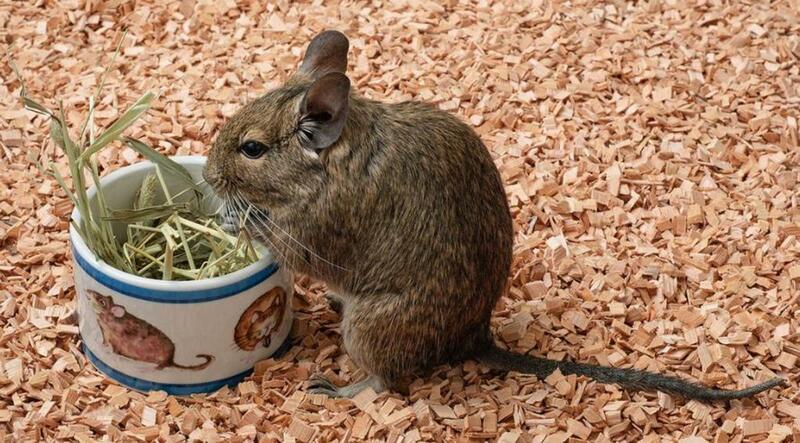 Degus are highly social and it is recommended that they be housed with more than one individual. They should have sufficient space to meet their exercise needs. Flying squirrels. They are easier than sugar gliders, have reasonable caging requirements, and are highly affectionate with their owners. Prairie dogs. 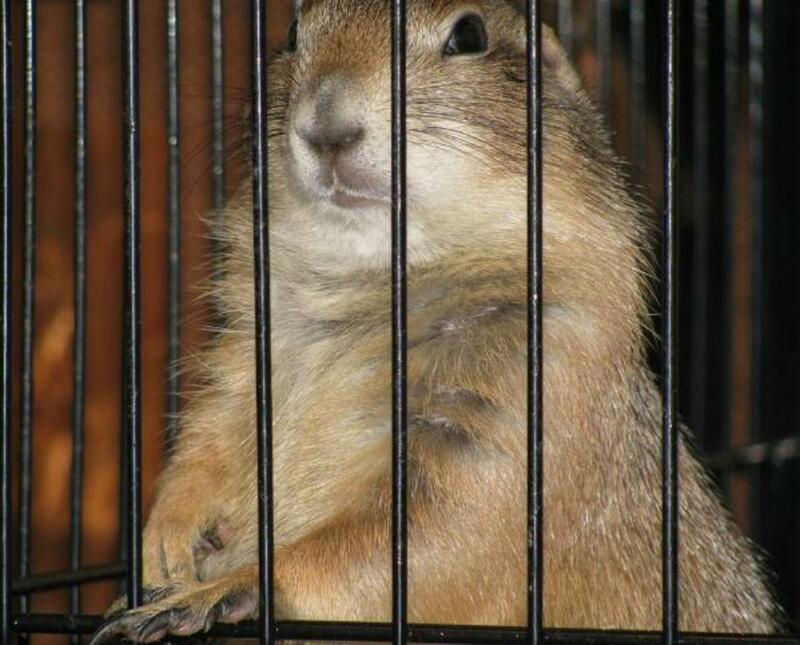 Prairie dogs are typically only born in the spring. They are affectionate pets that can be harness-trained. They are social, so the owner must spend some time with them. The cage should be adequately-sized. The prairie dog's diet is simple and includes fresh hay, grasses, pellets, fruits, and vegetables. The Oxbow brand of prairie dog food is good. In terms of aggressive tendencies, this species may have the most problems in that area when it comes to strangers (people the animal hasn't been raised with). Be aware of their strong territorial instincts. Chipmunks. As an active squirrel species, chipmunks will require the most space relative to their size. A taller bird flight cage is recommended, and they must have many opportunities for enrichment that encourages foraging. They aren't the best pets for handling, but they are more interesting than the typical hamster. 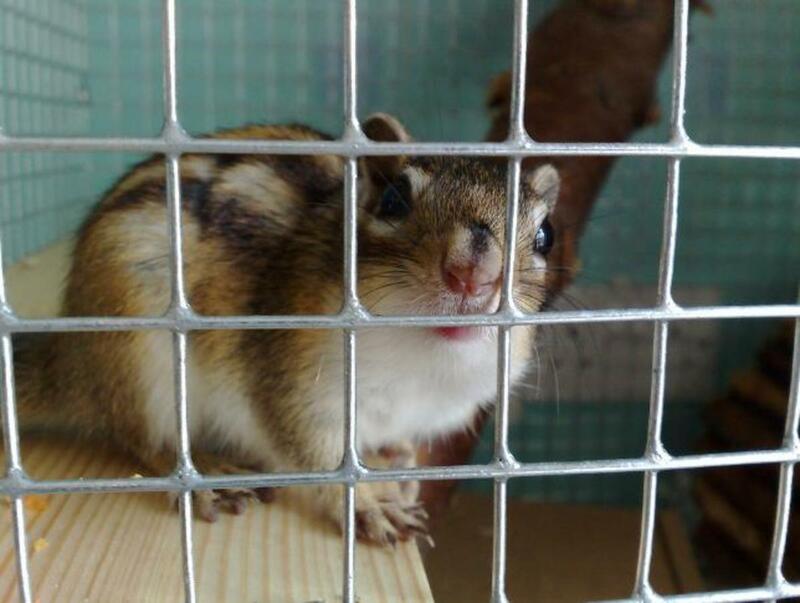 Some breeders have produced white Siberian chipmunks. 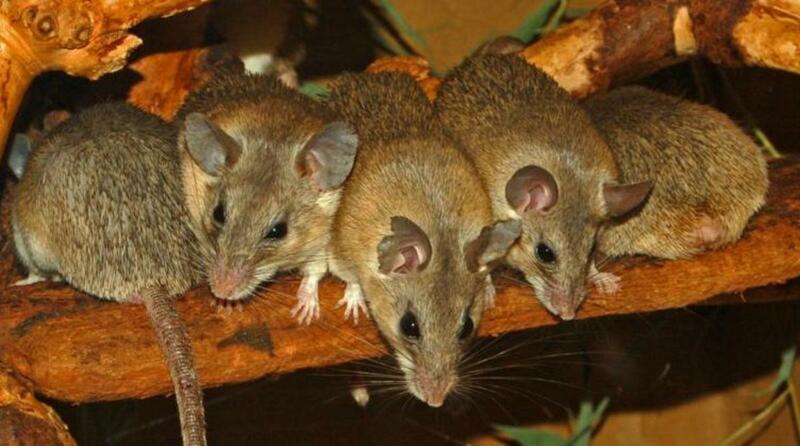 Spiny mice. These small little pets are not the domesticated mice commonly sold in stores, but they demand similar care. An omnivorous diet, spacious glass aquarium, and an exercise wheel are essentials. Patagonian cavies. Patagonian cavies also deserve a mention here. They are best suited as outdoor pets, which is doable if you have a farm-type home or a large backyard. These rodents are very large. There are a few different species of exotic rodent species, but some are hard to acquire in the United States due to a recently imposed embargo on species from Africa. 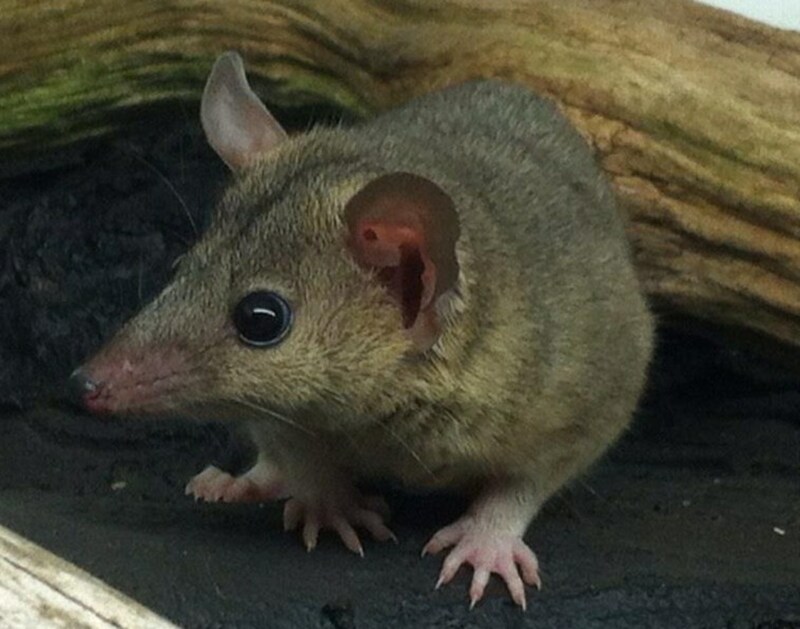 Such species include bushy-tailed jirds, jerboas, and Gambian pouched rats. It may look like a rodent, but the short-tailed opossum is actually a marsupial like sugar gliders, koalas, and wallabies. Unlike sugar gliders, which have more involved care, opossums are solitary and must be housed alone. Their housing requirements are very similar to that of a nice, spacious gerbil enclosure (with levels), with exercise wheels, hamster water bottles, and typical rodent bedding that meet their physical requirements. They need an omnivorous diet that is higher in animal protein. This can be a mix of prepared diets for hedgehogs, ferrets, and dogs with the addition of insects, vegetables, and fruits. Both the fennec fox along with specifically Russian domesticated silver foxes appear on this list, but with a note of caution. Their non-domesticated traits might make them a challenge for a person expecting tame dog and cat behavior. The fennec and silver fox are canids, meaning they are active predators. So they will need space just like a domesticated dog. If caged, it should be sizable and they should be allowed out of the cage frequently. The smallest recommended cage for fennecs is a multi-level ferret nation cage. Their behavior is more 'cat-like', in that they are more independent. They can also be noisy and play rambunctiously. All about pet exotic canines, wolves, coyotes, foxes, and more. One of the biggest issues with domesticated foxes is finding one—they are rarely offered now. If you do find one, be prepared to spend upward of $2000-7000. Foxes that are not silver, such as the white arctic fox or the red fox, are not domesticated and are much cheaper ($200-400), but they have undergone little or no selective breeding. Some silver foxes that are referred to as domesticated have actually been domesticated for the fur trade, and not for companionship. Many owners report that non-domesticated foxes have an extremely strong smell, thus only making them suitable for the outdoors. True domesticated foxes do not have an offensive smell, have a tamer personality, and more easily accept humans as companions (reportedly). 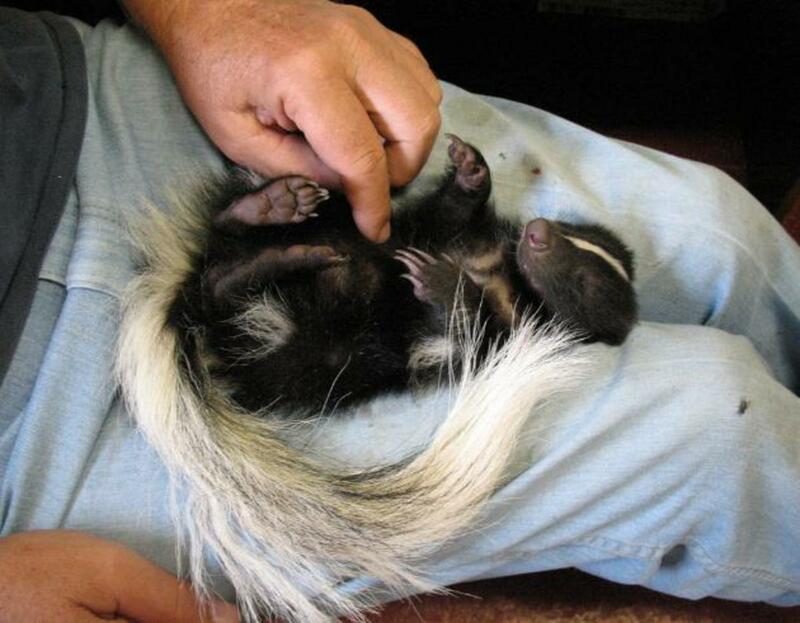 Skunks surprisingly make good pets...when de-scented of course. Skunks should have a proper omnivorous diet (typically dog food, fruits, and vegetables) and exercise time outside of their cage. Like ferrets, they are playful and should not be cooped up all the time. Provide toys and make sure they don't mistake your property as such! Unfortunately male skunks may be prone to aggression upon maturity, so be sure to have them neutered. Being an exotic mammal, the skunk as a pet is not legal in every state because they are rabies vectors. However they do not inherently carry rabies and can only contract the virus from another rabid animal. They are not cuddly, but pet bugs will often fascinate the young and old. Cockroaches. 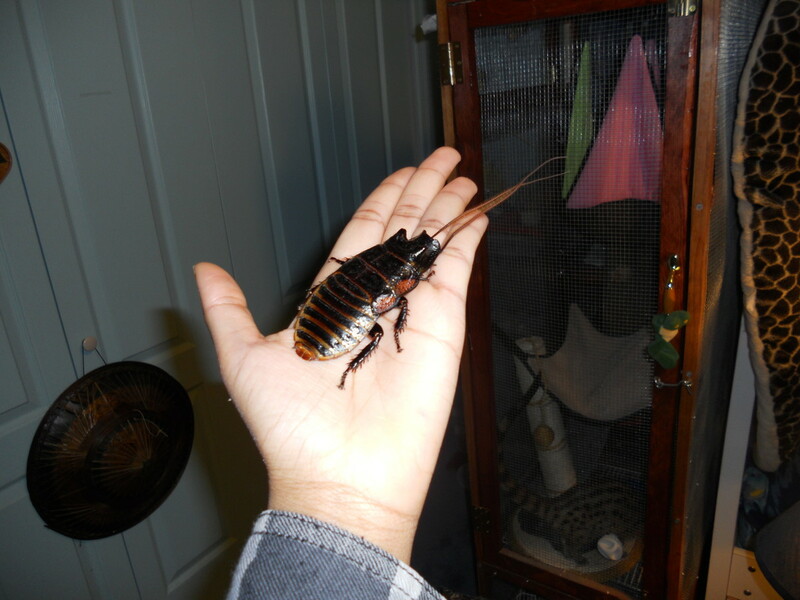 Even animals like cockroaches can require more demanding care, but Madagascar hissing cockroaches, which are often the species you see utilized in movies, are very simple to care for and will live around 3-5 years. Tarantulas. Not all tarantula species are suitable for beginners—the best species for the novice include the Mexican red knee, Chilean rose, and curly hair tarantulas. These are not aggressive, have living requirements that are easier to accommodate, and have simple diets (supplemented insects.) Small aquariums around 3-5 gallons work well for these species. These pets are also wonderful for scaring conventional people. 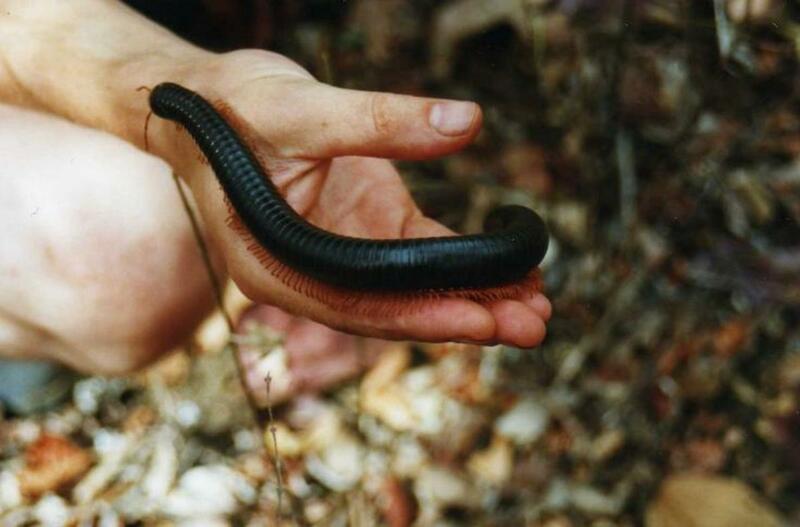 African millipedes. These are easy to keep, requiring around a 5 gallon aquarium, forest substrate, and vegetables to eat. Since they prefer to eat decayed vegetation, it is even OK to leave it alone for a while. 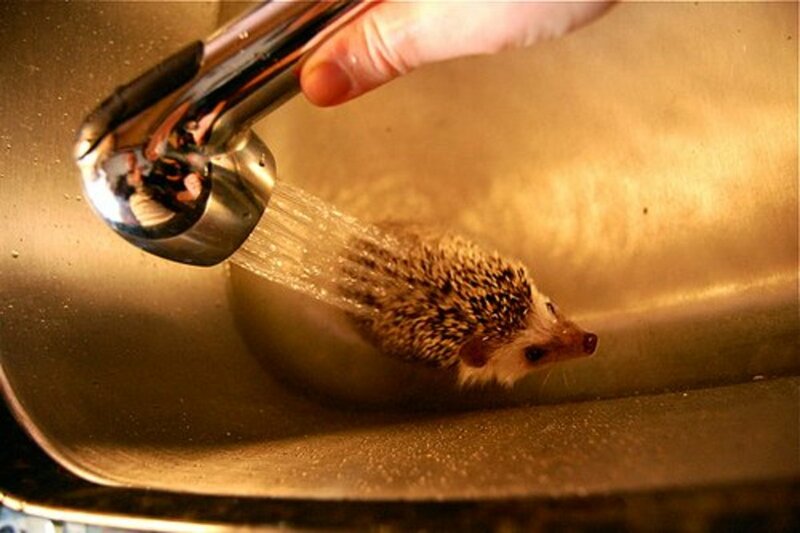 The substrate must be kept moist by spraying occasionally. Scorpions. 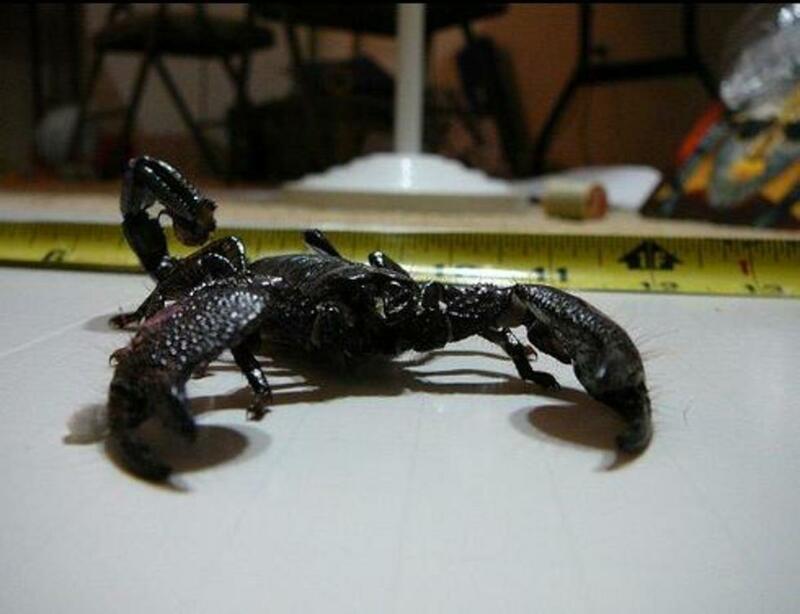 These may appear intimidating, but the emperor scorpion is a non-aggressive species that can be held and enjoyed, unlike other scorpians. They should be housed in a 10 gallon aquarium that is heated properly. They feed on supplemented insects. Giant land crabs. 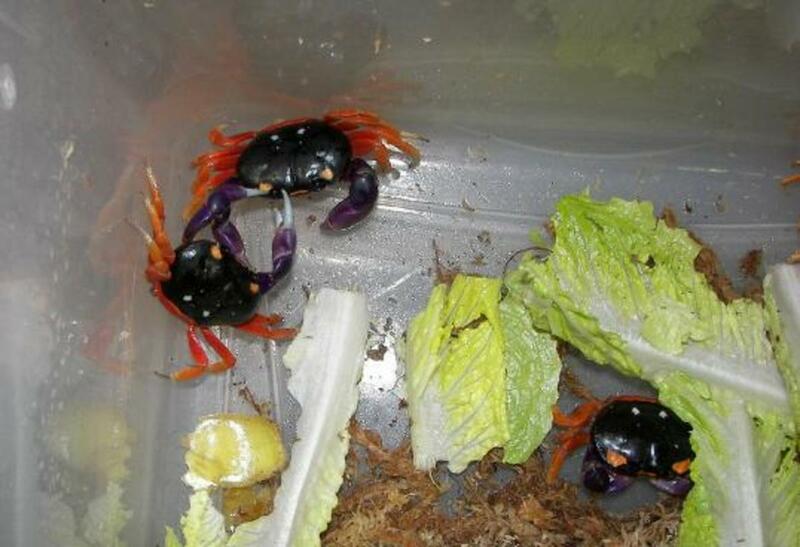 Giant land crabs, such as the beautiful Halloween crab (also called moon crabs), are interesting and uncommon. They are scavengers, cleaning up vegetable and animal matter. They are a great pet to discard your kitchen scraps with and feed old pet food to. F1 will be a challenging animal, perhaps a little easier than a full-blooded serval, however they are just as tall. They are also horrendously expensive. The lower generations of these animals provide a great substitute for the cheetah look in the package of a mostly domesticated but interesting cat. F3 (12.5 % serval) and down may make good pets. They are mostly domesticated cats but with a more dog-like, exciting personality. They can be trained to walk on harnesses and do not need to be housed outside. Note: The higher the serval percentage, the more likely potential challenges may arise. 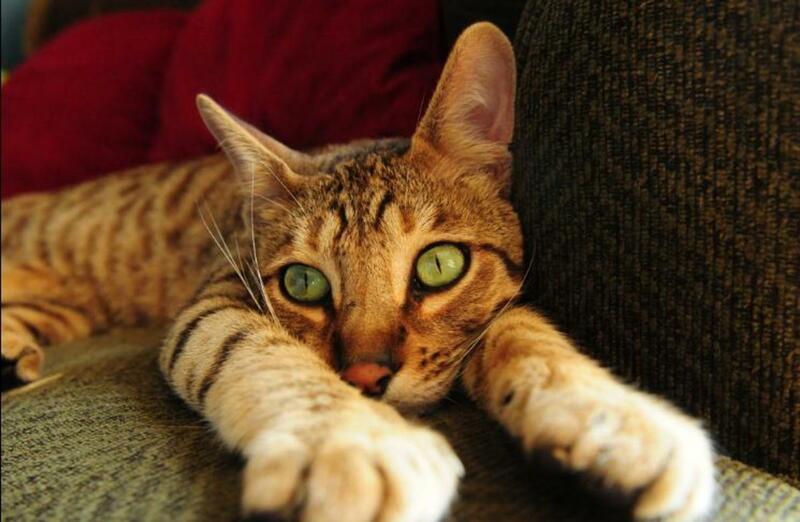 Bengal cats are basically domesticated cats, but with a more interesting personality as well. 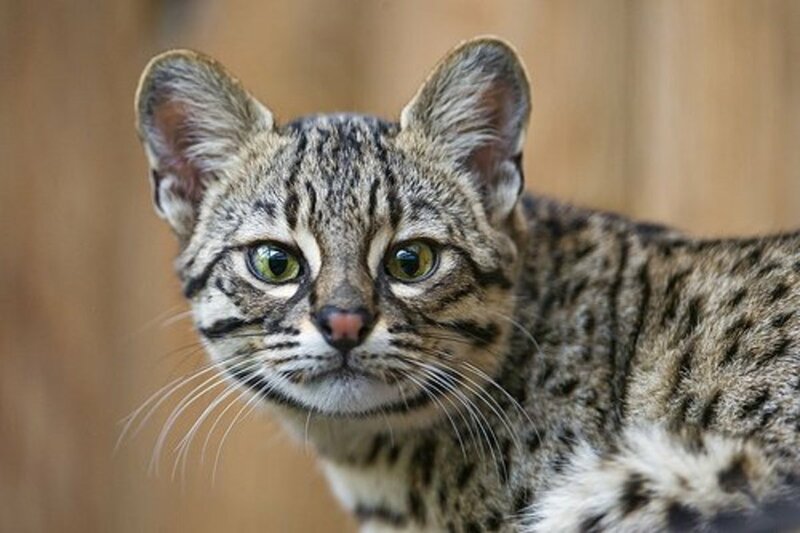 They have been produced with the genes of the Asian leopard cat. However they are more commonly sold with lower wild gene heritage, which makes them domesticated as pets. They are perfect for people who want the look of an exotic animal but not the destructive tendencies of one. They will however have higher energy needs that should be met. Non-domesticated felines (with the exception of some hybrids) often spray indoors and destroy furniture, requiring an escape-proof enclosure. 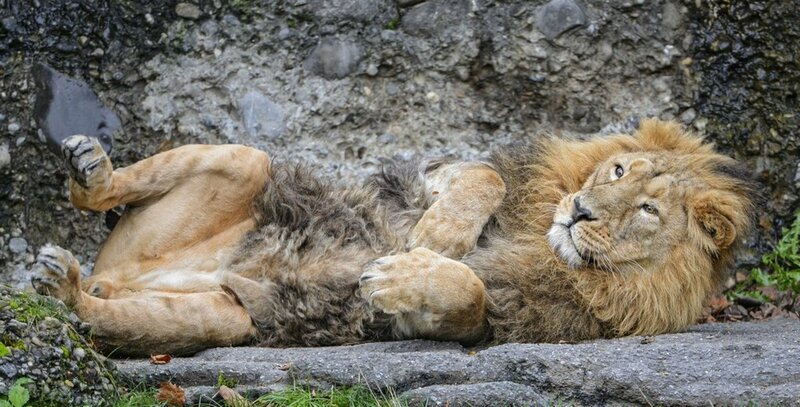 Large non-domesticated canines and other large carnivores require experience, outdoor enclosures, and other special accommodations. Non-human primates are extremely high-maintenance socially and psychologically. Other smaller exotics like porcupines, genets, sloths, wallabies, kinkajous, tamanduas, and coatimundis require large caging relative to their sizes and may be harder to promote the well-being of under traditional animal care standards. These animals often stress more easily and are difficult to re-home. One should steer clear of these more difficult but undeniably interesting animals if they are not willing to put up with the undesirable instincts of wild species. Exotic pets aren't for everyone. Before any animal is obtained, the potential owners should extensively research the care of the species from multiple sources. Some zoos publish detailed care manuals on some of the 'more exotic' species. Exotic pet forums are an excellent resource for reading the experiences of seasoned pet owners and you may even be able to converse with them and ask questions. These are imperative steps to take to insure that you know what you're getting into so you can care for your animal for the duration of its life. Do you know anyone with the pets on this list? Why are hedgehogs illegal in California? Hedgehogs are illegal in California mainly because of ignorance and lack of public pressure for our rights. Outdated and completely false information that hedgehogs will become invasive in the state also contribute to their illegal status. What is the best exotic pet? That depends on you. Most snakes are easy to care for, don't need a lot of space, eat once a week and aren't demanding socially. Of course, if you like pets that care about you, they are awful. Are you allowed to keep a red-shouldered hawk or a red-tailed hawk in Vermont? Native birds of prey are Federally illegal unless you obtain a falconer's license, which is hard to get. I really want a hedgehog. I recently learned that hedgehogs are illegal in some states. One of which is California, where I live. I don't understand why it is illegal, for it is legal in other states. There isn’t really a reason for hedgehogs to be illegal in California. Hamsters, guinea pigs, chinchillas, and rats are acceptable pets, so why aren’t hedgehogs? 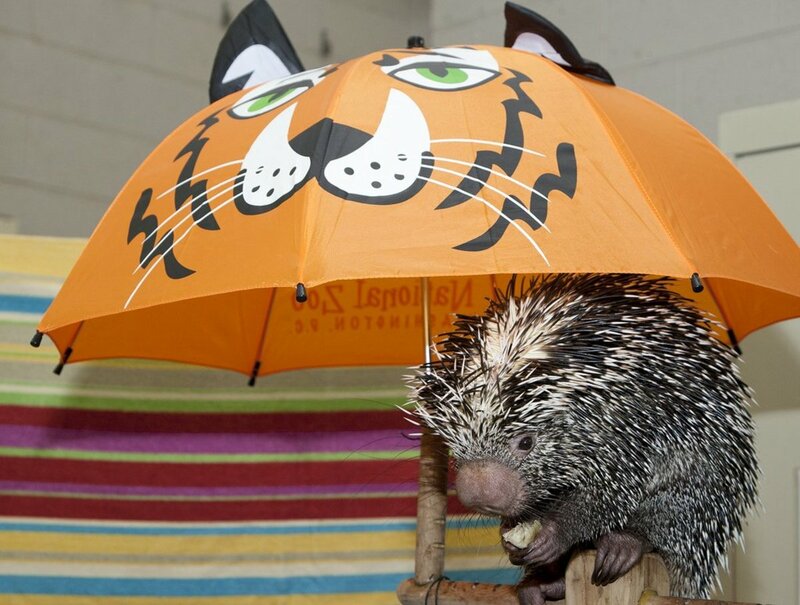 California’s warm climate is the perfect environment for a hedgehog to live. Hedgehogs are quiet, friendly, low-maintenance animals that would make great pets. Unlike the other small animals that are legal here, hedgehogs do not have dander and are actually hypoallergenic and would make great pets for people that want a small animal but suffer from allergies. Hedgehogs are already legal in numerous states and should be legal pets in California too. Overall, there are no downsides to letting Californians own hedgehogs. Foxes do NOT make easy pets at all. They need a lot of attention. A hyper kitten and a teething puppy make up an adult domesticated fox. I'm sure if you asked a fox owner, they would say that they are a lot of work. Actually, felicity, vulpes is the genus of foxes, which branches off of the family canidae, or canines. Some are dangerous ,some are good but they all have their good and bad. Awright! One of my favorites made it onto the list! Flying squirrels for the win! Where can I buy one of these pets? Actually, Fennec foxes are not canine (related to dogs/wolves), they are vulpine, which refers to foxes. I have and have had many of the species listed here. My skunks are one of my most favorite pets ever. I actually do domestic skunk rescue now. They are NOT for everyone! They CAN destroy things in your home. Those of us that can see past the nuances of skunks become lifetime owners and love them deeply! If anyone is interested in pet skunks, I have a Facebook group for skunk owners and those interested in them called U.S.A. Pet Skunks. PLEASE do a lot of research before getting one. I wanted to say that I really liked this list. I once thought that I would have been one of those people who wanted an 'exotic' pet. For years I really wanted a pet that I could play with, but wouldn't need a ton of care, that likes to snuggle and play and make me laugh, attempt to take care of me, and be able to play or take care of themselves as well. Since I live in an apartment with a secure entrance door, and have a knee that is prone to dislocation, a pet that I had to bring outside all the time was not a good idea. (for the record, I love both dogs and cats, have had many growing up.) So I looked and looked and looked, trying to find something that would give me companionship, and a relationship that would be amazing for both me and the animal I didn't have at that point. It wasn't until I had my daughter that I saw an animal that I had thought initially would not be the greatest pet, since at the time I was living alone. I saw a lovebird playing, and had such a strong, joyful bond/relationship with her owner. I loved the relationship I saw between the two. I began researching, and checking things, and cross-comparing the facts between sites, and 'what you need to know about lovebirds' from alleged 'professionals'. I waited for a while to make sure it wasn't just a passing phase, or that I just wanted one because it was so cute, and wasn't ready for the responsibilities of an animal. Four years later, I still wanted a lovebird companion, purchased all it would need, and got one. But I had never had a bird before. I knew it's basic needs, and was easily filling them. I then talked to people who I knew had birds before for a very very long time, and were very successful with them. They showed me how to handle a bird properly, and how to speak to my Lovie, and the body language a bird displays, and how subtle it was, and what to watch for. This improved mine and my Lovebird Sky's relationship immensely, and it is now the relationship I had wanted, and I don't think I could ever go back to a common pet. Sky is sweet, funny, and very snuggly and cuddly. She loves to give affection, and has on occasion tried to preen the inside of my nose and ears. I have a beautiful bird, who loves me as I love her. I have not looked for another pet since. Turns out I didn't need an exotic pet to make me happy, or to be cute. For those reading this, and thinking it's boring, I think you should look at other types of common pets before you try a exotic pet, you might find something amazing. Also for other bird owners out there, or people thinking about getting a bird, do lots of research on not only cage requirements, but also on the kinds of cages available. I highly recommend Hagen's Vision Hybrid cages. They are amazing, and make the upkeep of the birds SOOOOO much simpler. Seriously, instead of impulse buying, wait for a little while, see if you still want the animal, I would say give it about three month's thought. If you still want the pet after that, then you can get it. This way, the animals arn't abused, or thrown away, as though their lives depended on how amused their owner is with them, which is much more fair to the animals. NON-Domestic Foxes look gorgeous here, but I love hybrid cats the most since I'm a cat love. Thanks for sharing this. I own a hedgehog her named is Pepper. "NON-Domestic Foxes DO NOT MAKE EASY pets. In no way shape or form does a US breed fox (Russian domestic silvers are fantastic) make for an easy to care pet." I'm interested in this. I cannot find any breeders of Russian foxes and I'm wondering where you got yours and what other animals you've had. In order to verify your information I need more info, otherwise you are just a random person. My article specifically mentions Russian foxes so I don't know what you're going on about. Do you feel that people can 'handle' hermit crabs, beta fish, and small rodents? Guess what, they just die fast, or prematurely. How many people have you known who've had hermits for at least 10 years? Or betas for 5? Those are 'throw away' pets. So just because these animals do not wreck homes does not technically make them 'easy' either. What makes a prairie dog any different? They are not home-roaming pets and big cage does not equal difficult care. What is so 'hard' about buying or making a cage? Do you think 'easy' pets don't end up in rescues? ALL popular species have a presence in rescues. It doesn't matter how 'easy' they are. Most people eventually reproduce, and if they can handle a baby nearly all exotic pets should be a breeze. It's not my fault that people view pets as breathing playthings, only to be paid attention to on occasion. If one doesn't want to a buy a cage they might want to look into sessile creatures. Like I said, many of them don't even make it that far because they die. So perhaps I can accuse you of promoting the death cycle with your recommendations. Just to set things straight! 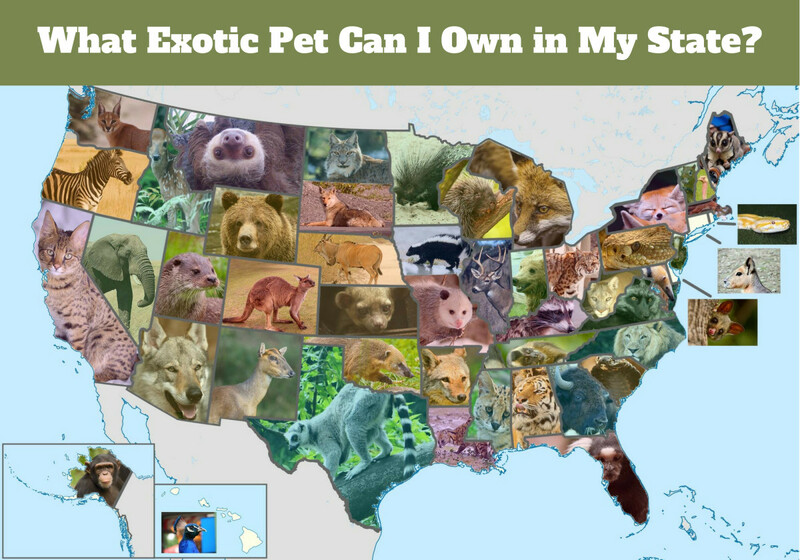 I have owned almost all of these animals at one time or another, so this is coming with personal experience. NON-Domestic Foxes DO NOT MAKE EASY pets. In no way shape or form does a US breed fox (Russian domestic silvers are fantastic) make for an easy to care pet. 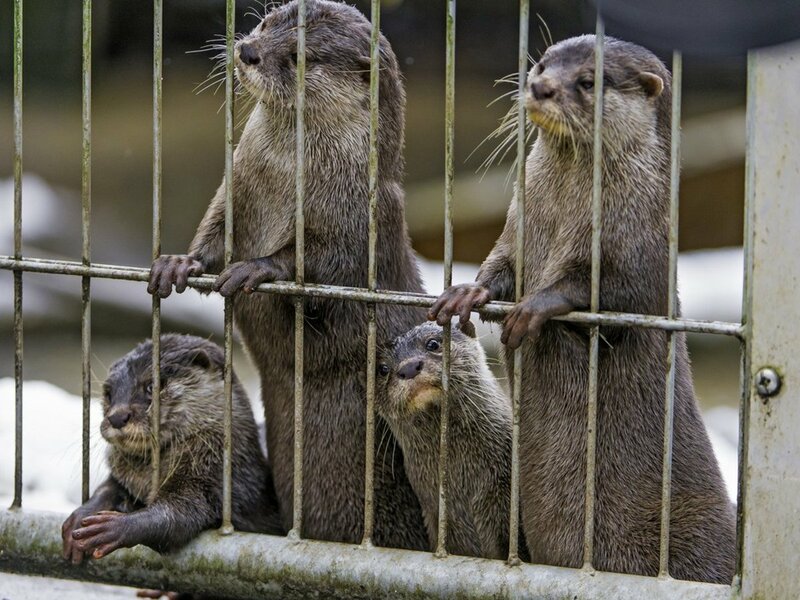 They can climb anything/everything making it necessary to have special outdoor enclosures. They do smell (the article mentioned that) like an unbathed/scented ferret. They are mouthy which can be a put off to people. If reared from a pup they can have separation anxiety, and they tend to not be very social with strangers. They do get along with most dogs (especially when raised with them), but are not nearly as easy to train. Potty training is nearly impossible, but I heard it can be done. They are super spunky and sweet (to those they like). They are good fun pets if you have the time/space/energy/patience. Be wary they have a chewy phase just like puppies... except their teeth are a lot sharper! Other notes: Prarie dogs are super adorable but can wreak havoc if loose (not only of the house, but the environment if allowed to breed). They are happy with LARGE spaces (so again.... not that 'easy') the ones I have owned required much attention. Honestly.... I would not classify most of these pets as "EASY" to care for. They take time/space/understanding/clean-up. Articles like this is why I ran rescues, people think they can handle exotics, but guess what?! They are not as easy as a hamster (except for most of the smaller mammals listed here). Easy = Beta fish.... Hermit crab..... Hamster.... Guinea pig (although they are more social and do need more space than a hamster).... Small lizards (albeit start up can be expensive).... Arthropods are excellent 'easy' pets, however they are more decorative then 'pets' a tarantula doesn't really care if you handle it often or not (only the owner cares).... I wouldn't even include tortoises on here because rearing a hatchling is hard work! Adult tortoises are little easier but require space and more food than you would think..... Adults snakes are easy going (set up expensive), but again rearing a baby snake has its ups and downs (usually involving shedding). That's great Samantha, but animals don't get uncomfortable around bugs like humans do! Grey squirrels, chipmunks, and flying squirrels are possible pets you can get if you have the room for their cage. They are active and arboreal, unlike hamsters and gerbils, so they will need a significant amount of space, similar to a bird. I loved this article!!! I had no idea about half of the animals on here were thought of as pets! This was such a great read! I'm obsessed with squirrels and have been researching the possibility of domesticating them but, I haven't gotten anything solid on them yet. I live in a trailer right now that often (no matter what i do to prevent it) get huge spiders (of many types), palmetto bugs, and large Ants. So I'm really on the fence about even bothering to look for a fur baby right now. In fact, my mother is caring for my dog because I don't want to put my dog in a bad living environment. I live in Florida and would love to really look into getting an exotic animal that will thrive even as a pet. I do not think it is fair or just to get a wild animal based on general curiosity so i want to make sure all my ducks are in a row before I decide to add an animal to the family. This is a great article! Interesting and informative. The short-tailed opossum is new to me. I would like to look more into that cute critter.
" All pets require the owner to provide some degree of care, that of which may not be for everyone." I am suggest with you, all pet animals take care, and Owner have many responsibility. just like, health care your pet, diet your pet, something, many resposibilty, Our family have an Dog. My Pet name is "Rocky". He is very nice, my pet also take care my house. He is very nice, good look and attractive, If he barks, then Your barking sound is very loudly and horror for thieves or my enemy. I suggest your think. you are so grate. thanks to you, for this knowledge. I am happy. Now, I am careful for my pet. Our family friends have an Asian leopard cat that they plan on breeding and making a small business out of it. They are being truly professional about it, but I do not agree with them. Exotic cats are not for everyone. I would personally like to have a pet skunk though. Love those beautiful animals, especially when young pups. Great hub and voted up! Thanks melbel for commenting. Sounds like a neat pet. I have a bengal mix and while she's a really cute cat (and I love her spots), she's really high maintenance compared to my other cats. Like other Bengals, she's very vocal and requires almost constant human attention or she'll get lonely and cry. She's a sweetheart, though. 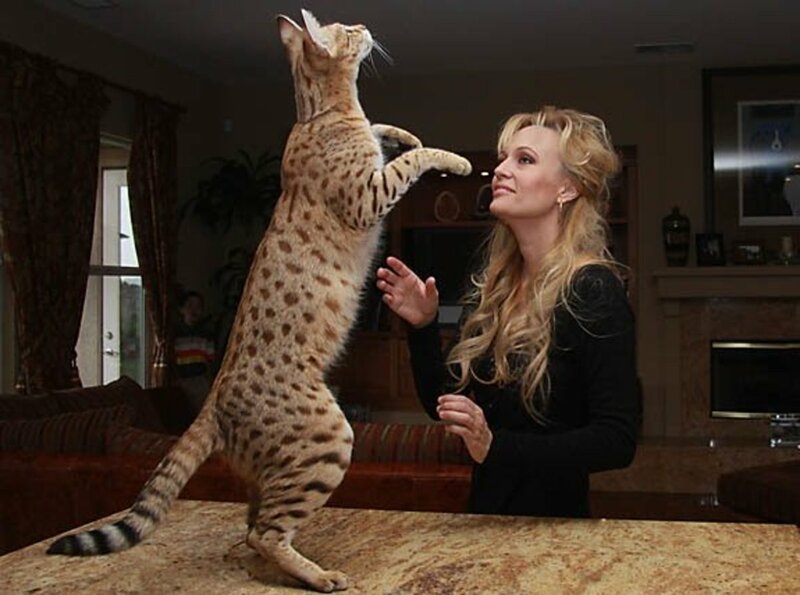 thranax, I want a serval someday too. An outdoor enclosure is a must! Thanks. Great hub! There are so many pets around and most people would prefer something different from the standard. If I was to ever get a cat I would love one of those Savannah cats. While I know they need lots of space and a good environment, its more of a "one day" thing oppose to a "maybe I can get one" thing. Hi Danelle, thanks for the information. It sounds like Bengals are more similar to dogs. That's why they appeal to me. Hi as a Bengal owner I wanted to clarify something you said. I have twin Bengals now that are just over a year and I would always recommend getting 2 so they have a constant companion. I have had 1 before and yes he was a high energy Bengal but he could become destructive if not played with and interacted with. All 3 of my Bengals were SBT which is past F3 so they are and in the case of the 1 I had who died of old age at 12 were all domesticated and wonderful pets to own. However this is not a cat for everyone. As stated in your article they are very very active and if that need is not fulfilled they can and will become destructive. If you are interested in purchasing a Bengal for the first time be sure to do all the research about them to be sure this is the best breed for you! Bengals for the most part are not lap cats! They love water and will play in their water dishes. 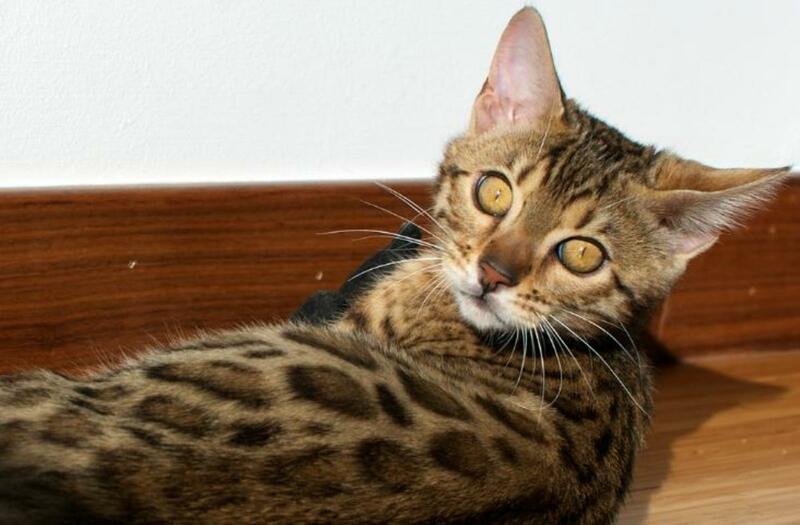 There are people out there who purchase Bengals just for the exotic look and realize because of their high activity that this is not right for them and the poor Bengal cats end up in shelters. Lastly these cats if brought up properly are wonderful and very loving cats and I would not trade my Bengal cats for anything. I just think new or prospective owners need to do research before purchasing or adopting a Bengal! What a cute and interesting piece! Pinned it to my Hubs to Read board and voted for it! MJennifer-- Thanks, I agree with you. Some of the exotics you include here are require levels of care equal to, or even far less, than certain common domestic pets -- a scorpion is vastly easier to tend than a dog, and a hedgehog much easier to tend than any of my horses. It's a shame people have such a knee-jerk reaction to the idea of exotics -- but alas, that's the society we occupy. I've always loved foxes and I do my best to research so I can have one as an addition to my family. I believe the biggest problem is Fennec Foxes also love to climb. Thanks Aime F. Fennec foxes are readily available to private owners. Thanks for confirming that hedgehogs are not hard to care for. I have a hedgehog and he's a breeze to look after. Certainly not expensive as the previous poster so politely suggested. Anon, it's obvious you didn't even read the explicit information I wrote for the introduction of this article where I mentioned vet bills, my reasons for listing certain species, ect. and scrolled right down to view the list. This is definitely a more fitting definition of 'idiot'. I don't consider any of these animals expensive. 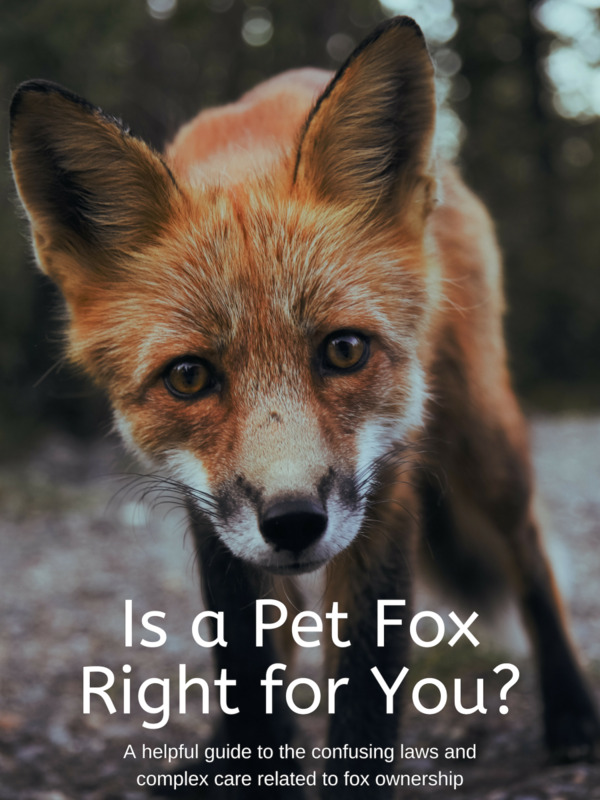 Maybe your financial situation is different, but most people spend as much or more on dogs as they would with fennec foxes, hybrid cats, and skunks. All the rest of the animals are less expensive. So next time, think before spewing impulsive nonsense. You freaking idiot, most of the animals on this list are very hard to give proper, healthy care and are EXTREMELY expensive, not just in initial cost, but in food, enrichment, housing, and medical bills. Hi Phyllis, I don't see why your situation wouldn't be appropriate for an exotic, you just need to know what you're in for; high energy, plenty of 'quips' that might be irresolvable, the fact that there is a possibility the fox may not bond to all members of the household to way you hoped, ect. You need to be ready to adapt to the challenges a non-domesticated pet may come with. 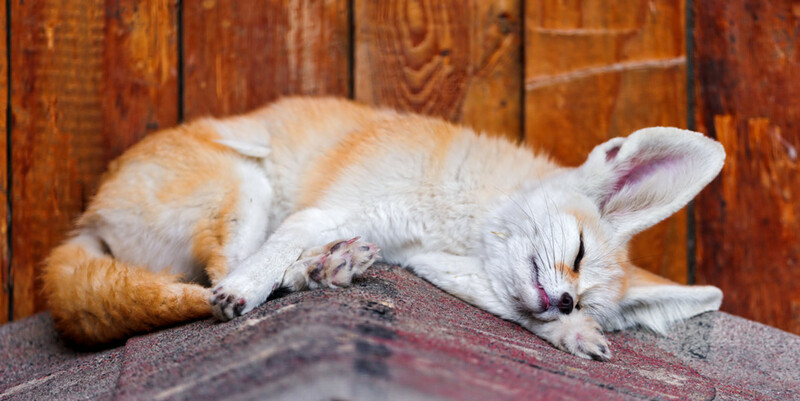 A great source to read about these animals would be a group on yahoogroups called FennecFox, but the board is largely dead. It pays to read the old messages and gain insight on what owning an animal like this may entail. It would help leaps and bounds to have a spacious cage/room for an exotic to play in to expend energy. Here is a beginner's care sheet: http://www.juliesjungle.com/documents/Fennec%20Fox... 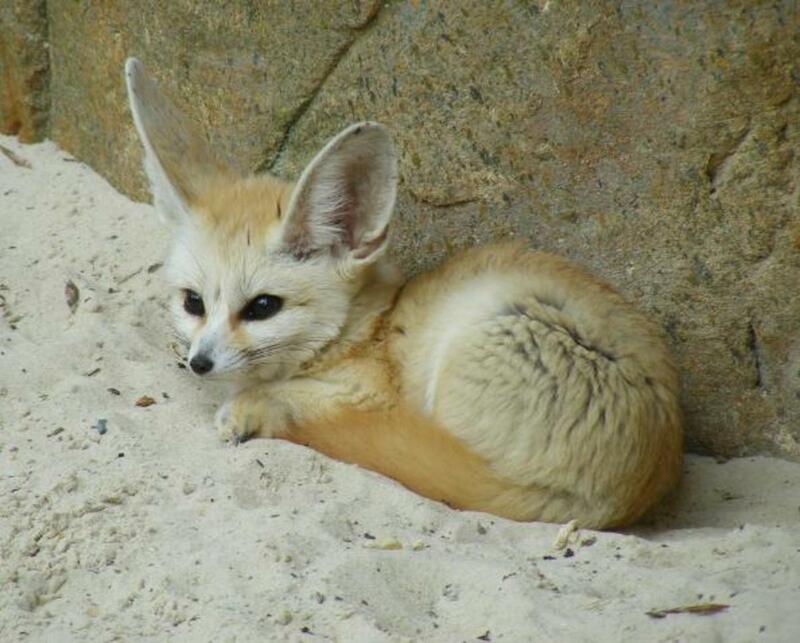 If you still think a fennec might be for you contact a breeder and ask plenty of questions up until a kit is available. Good luck. Trying to find some more in-depth research on having a fennec as a pet. Could you recommend any good sources? I'm also curious to know if they are the type of pet that would be good for a stay-at-home mom homeschooling a few WELL behaved children who know how to respect animals. If not, possibly a suggestion? I also have an energetic but well behaved cocker spaniel that loves other animals, be it my husband's chickens, my daughter's cat, or the east Texas fox squirrel that thought I was its mommy. We have a serious kind of love for our pets around here. :-) I'm hoping to find an "inside" animal, and our dog will be the only other animal inside. Am I barking up the wrong tree here? Hi Archa, look harder and you will see that spiders are very cute. This was very useful for my having-a-pet dream. But the idea you mentioned on 6th point is really scary. I love the idea of having a fox! What Pewp? They don't autoplay for me?? In the future, don't have 5 youtube videos auto-play. What a wonderful hub which I vote up and share. I like cats, but not the other pets you've mentioned. I find this article interesting. 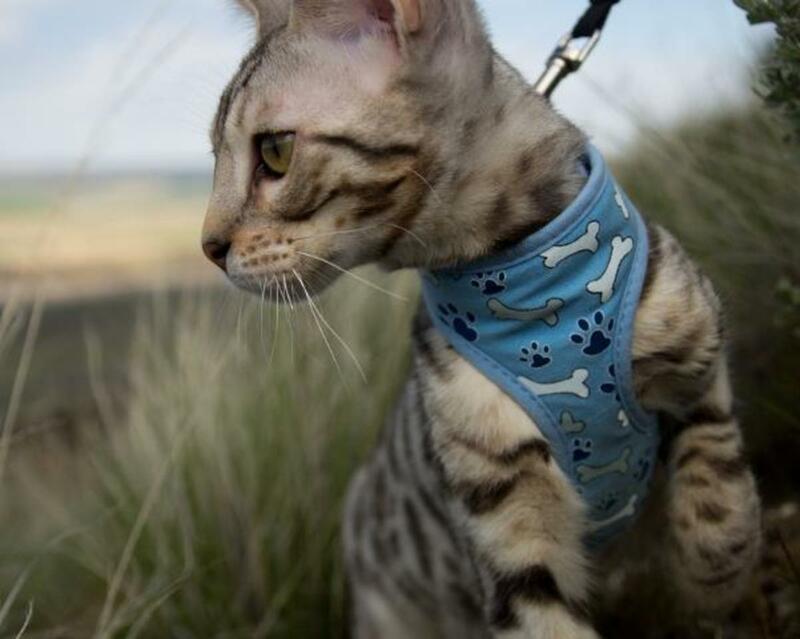 The bengal cat looks nice! Looks like a baby leopard.